Bianca, a young orangutan, is only 3 years old. But instead of flourishing in the wild, as an animal like her should, she was confined to a couple’s home. Her owners dressed her in clothes, treating her as both a child and a pet. She went everywhere with them, slept in the same bed as them and even ate the same food. According to one of Bianca’s previous owners, she was purchased in 2014 after they spotted her chained to a tree outside someone’s home. 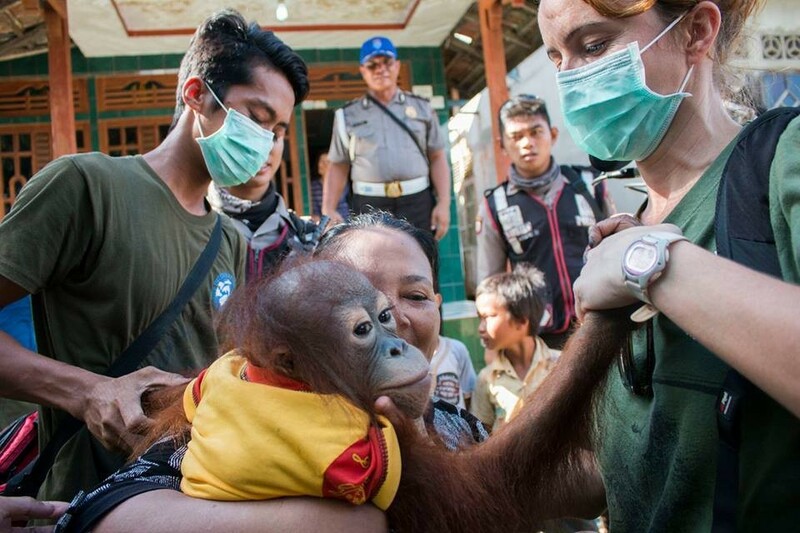 “I felt sad to see her there and bought her,” the owner told International Animal Rescue (IAR). 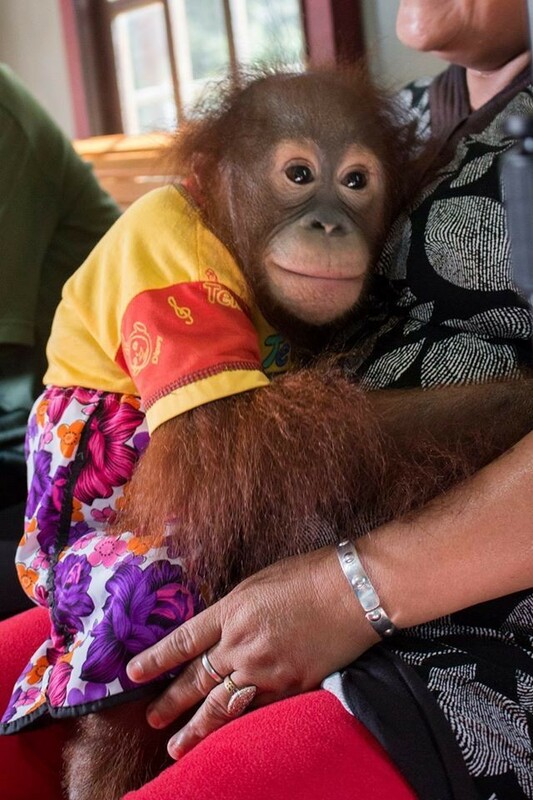 Since orangutans usually stay with their mothers until they’re between the ages of 6 and 8 years old, IAR believes that, sadly, Bianca’s mother must have been killed when she was taken from the wild. IAR first learned about Bianca in 2015. 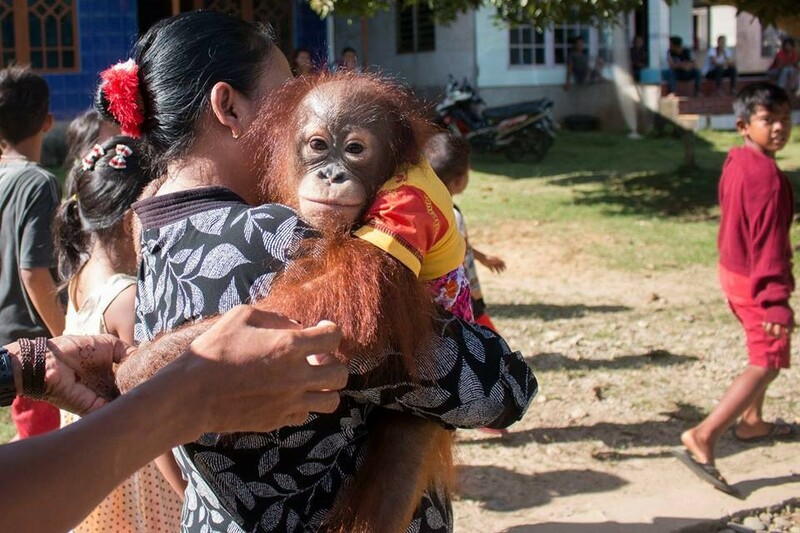 She lived in Randau Jungkal, Indonesia, a village only five hours away from IAR’s orangutan center. 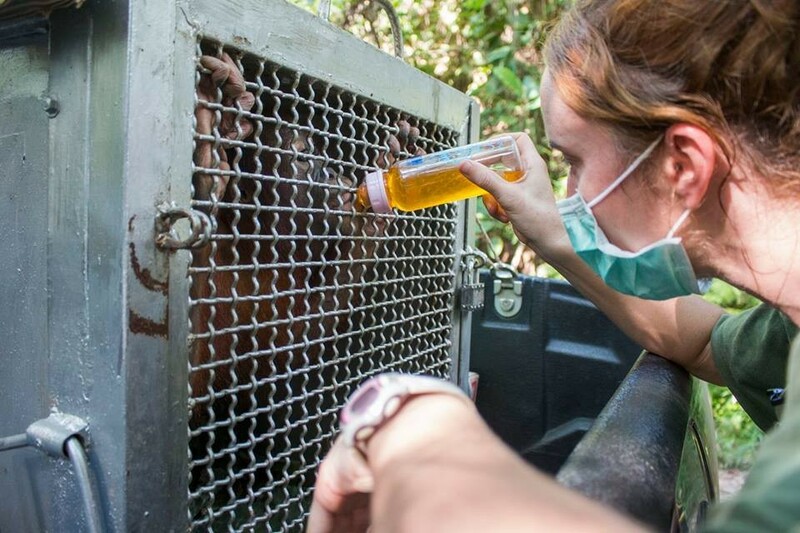 Members of IAR’s Human Orangutan Conflict Response Team (HORCT) were sent to confirm reports that an orangutan, which are illegal to keep in captivity, lived with a couple. She was found living in the couple’s home and, when asked to relinquish her, her owners refused to give her up without compensation. After more discussions, Bianca’s owner decided to give her up at last. 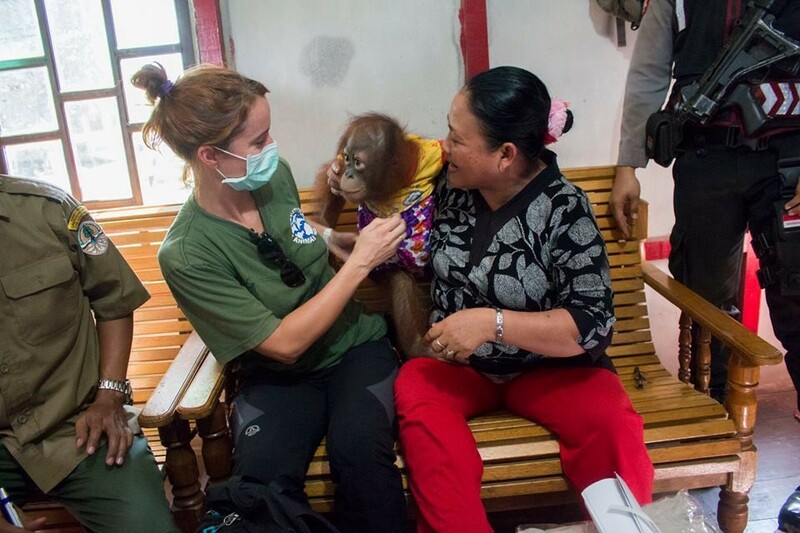 She was picked up by the HORCT team and taken back to IAR’s orangutan center, where she was given an initial veterinarian examination before being placed into quarantine. After the quarantine period, Bianca will be able to start living life as she should have from the start — wild and surrounded by other orangutans like herself. Bornean orangutans are a critically endangered species, with threats such ashabitat loss, illegal hunting and simply a lack of awareness among locals who live in proximity to them all playing a part in their dwindling numbers. “The population has declined by more than 80 percent in the past 75 years and yet the people of Borneo, particularly those living far from the city center, have little if any understanding of this issue,” IAR wrote.